This Vietnamese Noodles with Lemongrass Chicken (Bun Ga Nuong) is one of my signature dishes that is familiar to many of my friends! 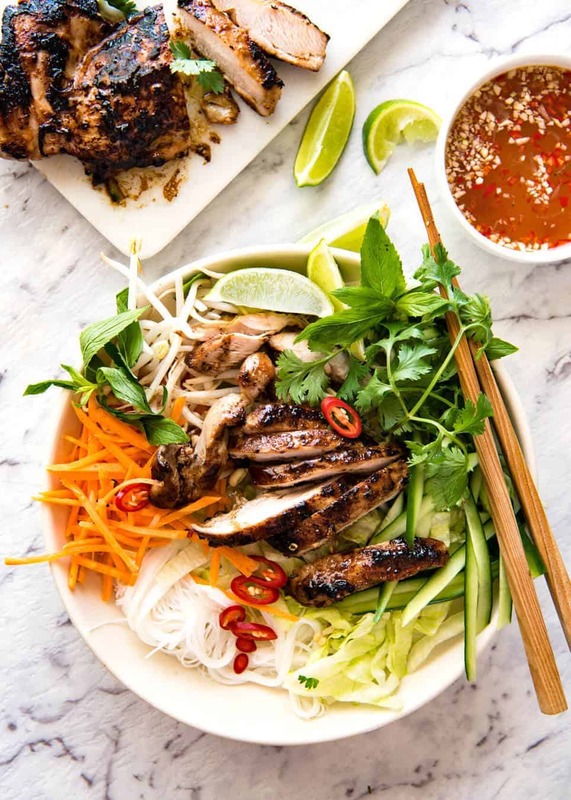 Vermicelli noodles topped with fresh vegetables, an incredible lemongrass marinated chicken and drizzled with the essential Vietnamese dipping sauce Nuoc Cham. 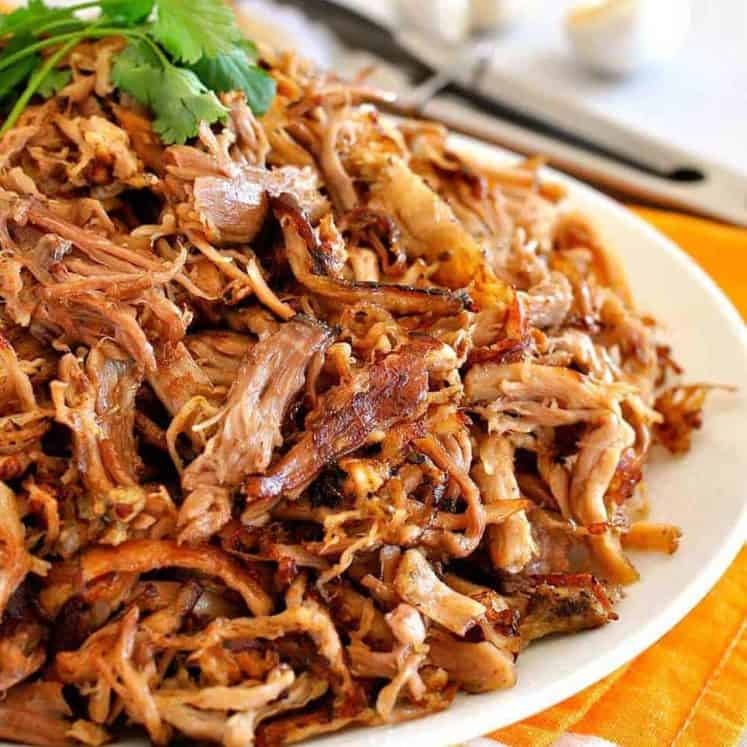 Fantastic food to make for a crowd, this is so fragrant and just happens to be healthy. It’s a total crowd pleaser! 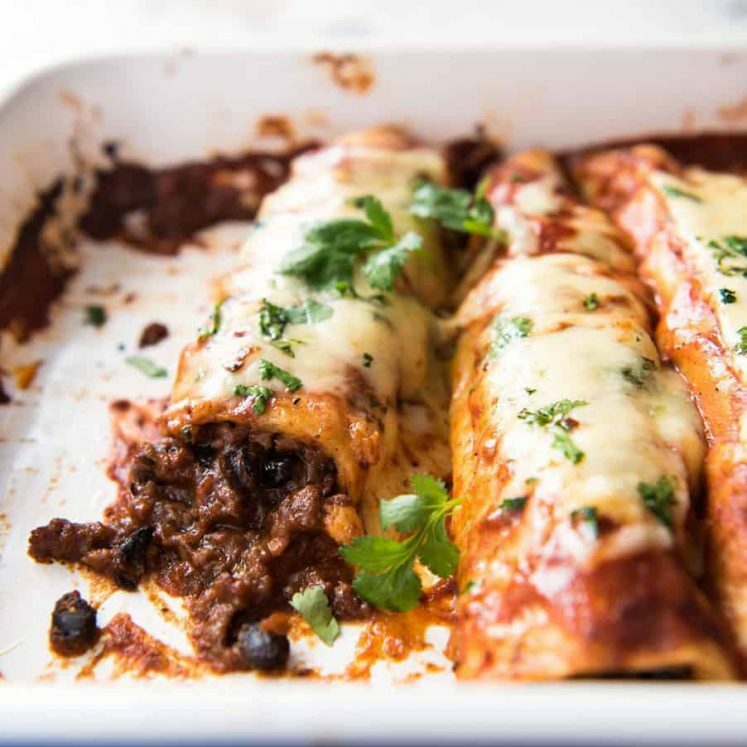 This is one of those recipes that I make all the time. I really do. It’s one that will be familiar to many of my friends. In fact, I made it on the weekend when I visited the Groves Tropical Fruit Farm in Queensland to watch the harvesting of mangoes (oooh, post coming on Friday! It’s EPIC!). Not only did I make it for them, I actually packed the marinated chicken in my luggage and took it up there!!! I know, I’m mad. MAD! (I wanted to make this on the first day and it needs marinating time!). It’s a personal favourite and holds many fond memories because I like to make it when cooking for a crowd. For both cost and practical reasons. It’s fantastic for serving a crowd because it can all be prepared ahead. Then on the day of, just cook the chicken and lay all the components out on the table for people to help themselves. 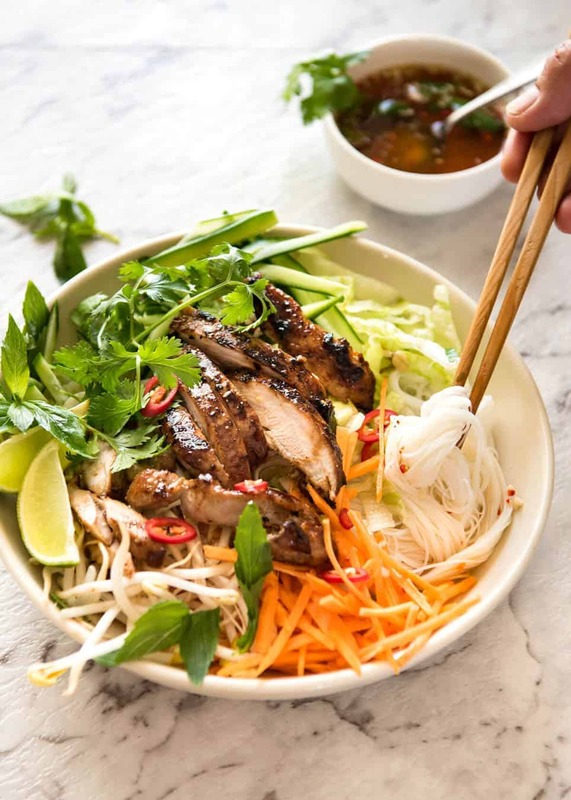 Camping, on boats, weekends away, hen’s night – this Vietnamese Noodles with Lemongrass Chicken has made an appearance at many events! 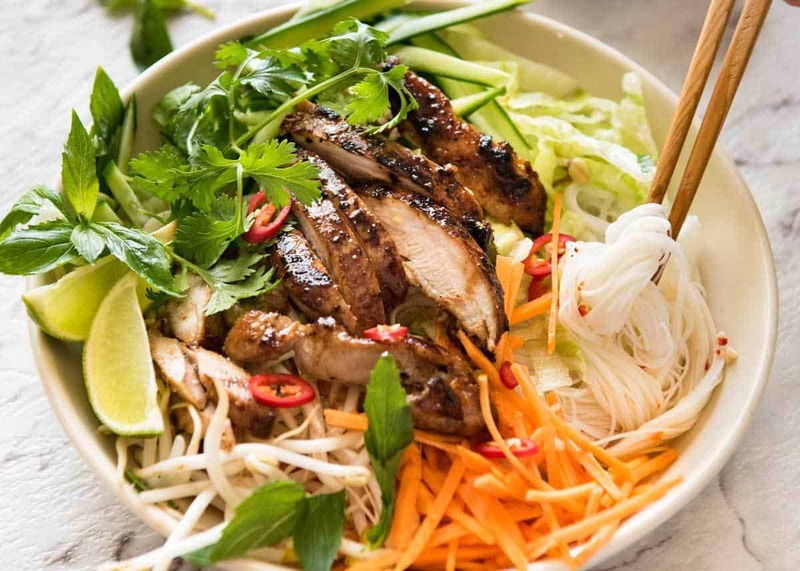 The entire Vietnamese noodle bowl as a whole is so delicious, but I have to say that the Lemongrass Chicken is the stand out. The marinade is fantastic. 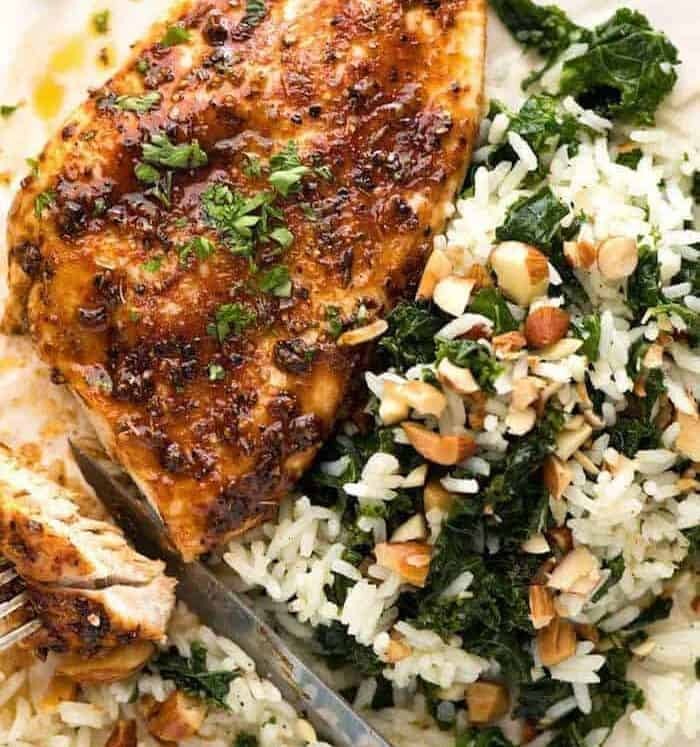 The earthy lemony flavour from the lemongrass combined with the garlic and complex savoury flavours from the fish sauce and soy sauce makes a killer flavour that will have your neighbours popping their heads over the fence when you cook this on the outdoor grill! 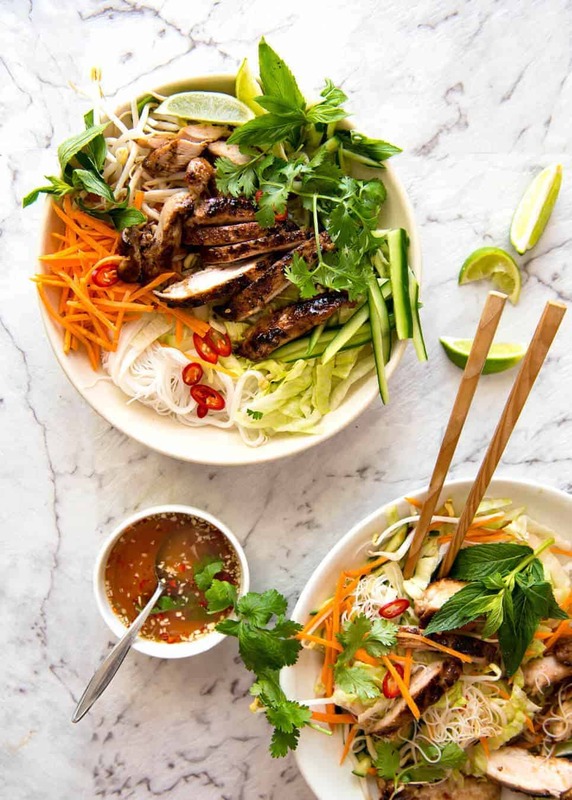 This to me, this Vietnamese Noodles with Lemongrass Chicken is the epitome of healthy eating without compromise. Low in fat, lots of fresh salads brought to life with bright zingy flavours. The sauce itself has so much flavour, you can scoff down loads of the salad and go light on the chicken. Speaking of the sauce – this is Nuoc Cham. Think of it as the ketchup of Vietnam. It’s used on everything. And that is no exaggeration! 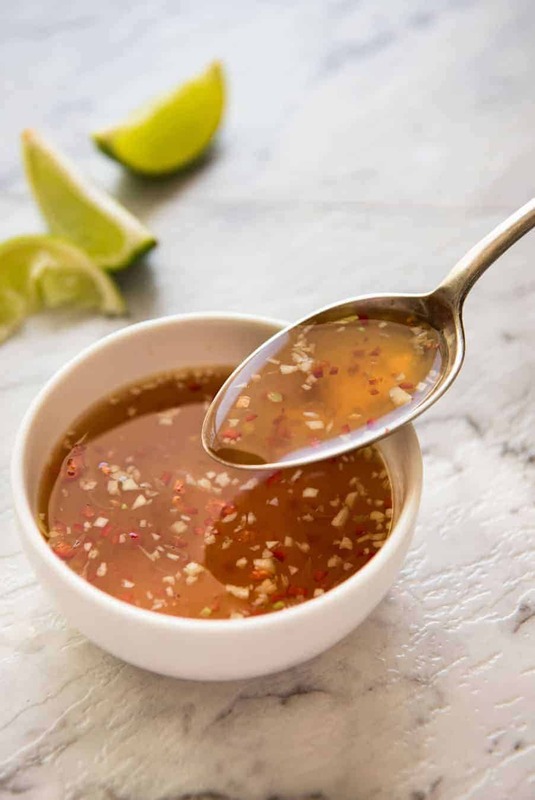 This sauce / dressing / dipping sauce – with minor variations – is pretty much used for every Vietnamese recipe that has a dressing. Don’t believe me? Next time you’re at the library or bookstore, flip through a Vietnamese cookbook! 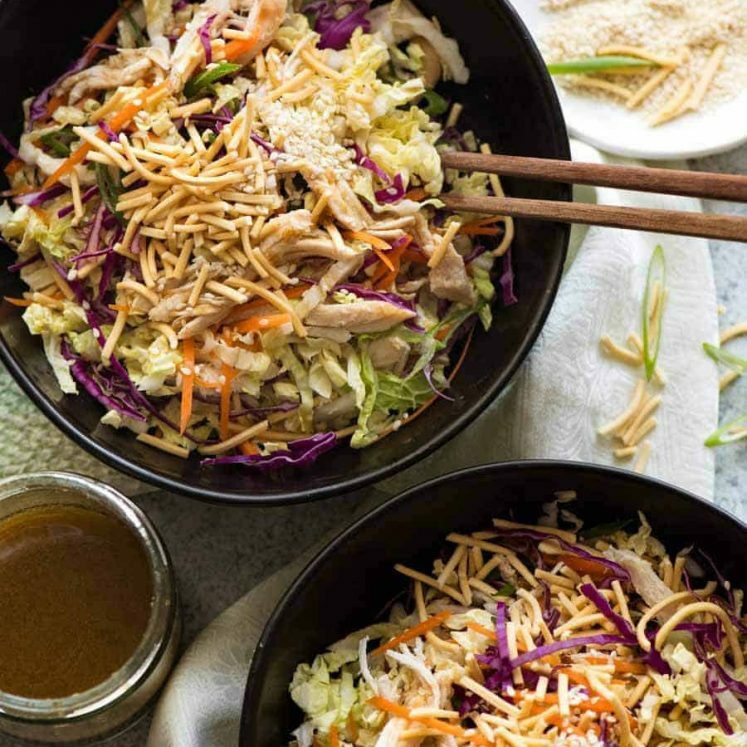 The beauty of Vietnamese Noodles with Lemongrass Chicken is its versatility. I remember when I first came across the recipe, I read that the marinade can be “eye balled”. A glug of fish sauce, a drizzle of soy sauce, a spoonful of brown sugar, a good chunk of garlic and a handful of chopped lemongrass. 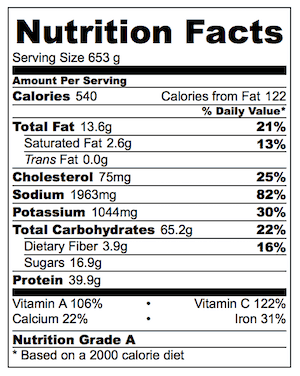 Any approximation of these ingredients will yield you a tasty chicken. And it’s so true. 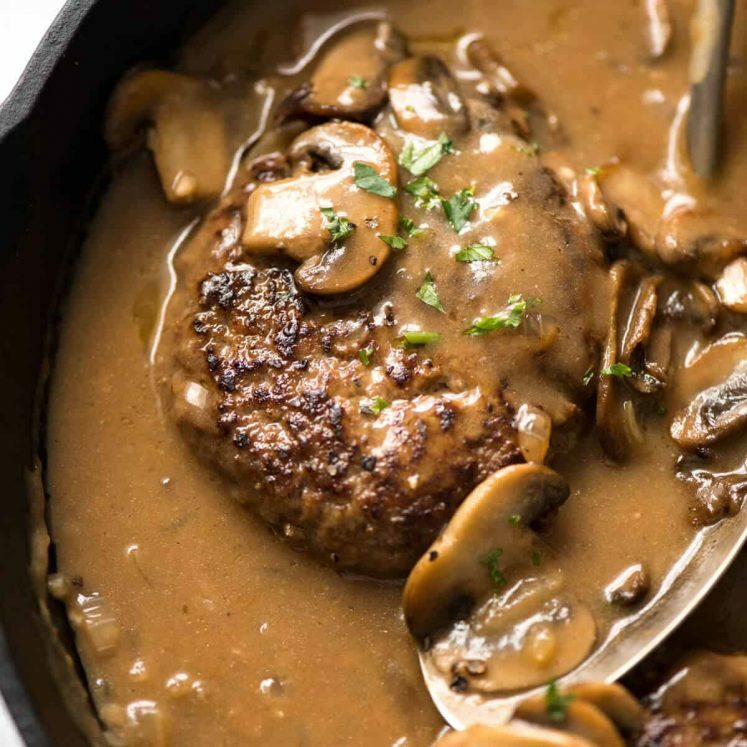 I very rarely measure the ingredients 100% accurately – and it’s always delicious. Plus, you can substitute the vegetables with other vegetables you have on hand. Anything that can be eaten raw with fresh flavours, like capsicum / bell peppers, snow beans finely sliced, cabbage and other leafy greens. Let your imagination run wild! 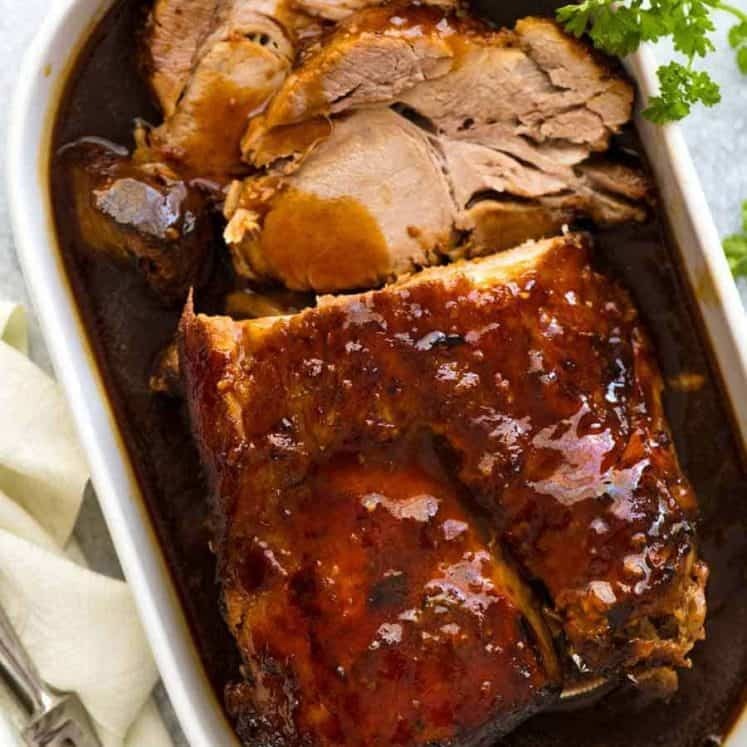 Vietnamese Caramel Pork – another iconic Vietnamese food! Also see the Chicken version. Vietnamese Noodles with Lemongrass Chicken recipe video. Recipe video above. 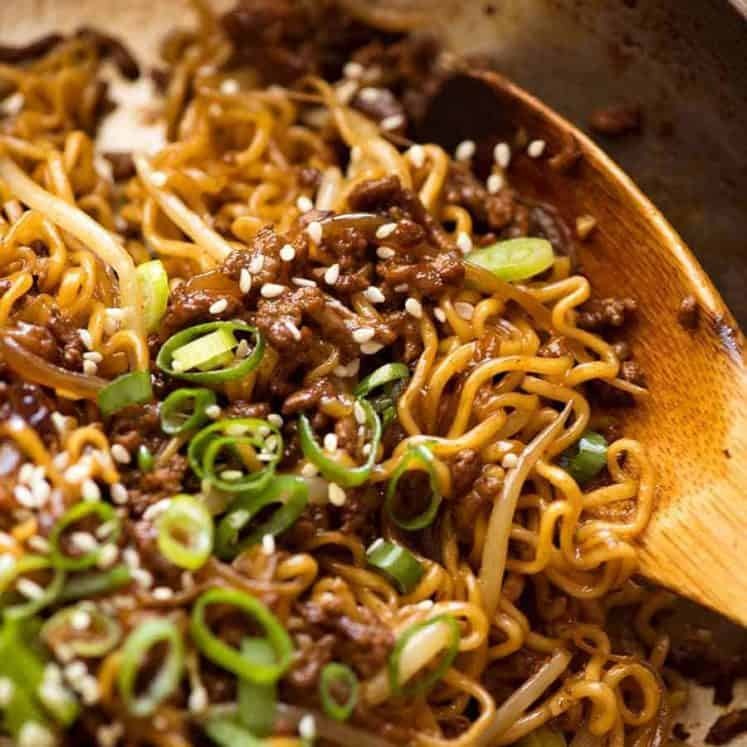 Easy light, healthy noodles topped with tasty marinaded meat, fresh vegetables and herbs, drizzled lightly with a zingy sauce. 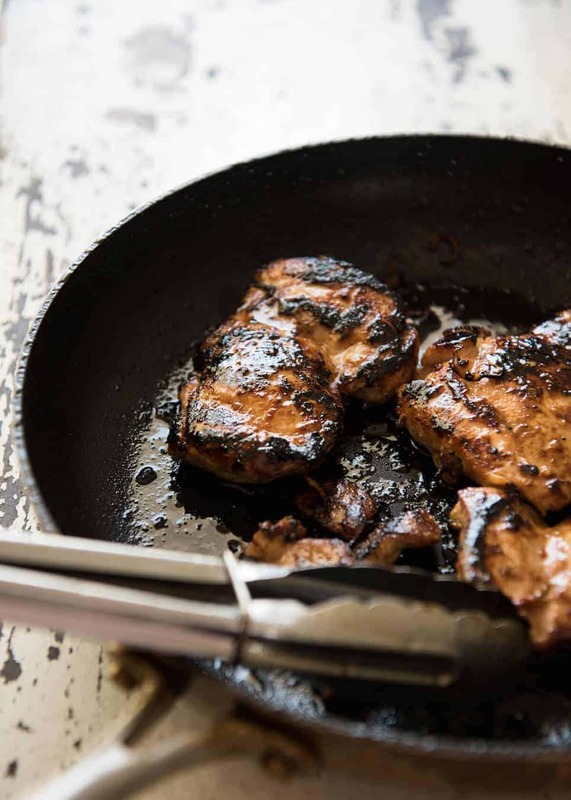 The marinade is extremely versatile - if you just use this recipe as a guide, you can tailor it to your own taste. DON'T BE DAUNTED by the list of ingredients - the ingredients for the marinade and sauce are largely the same! Combine the Nuoc Cham ingredients and mix well to dissolve the sugar. Adjust to your taste (spiciness, lime, sweetness) and set aside. Soak the vermicelli noodles in hot water for 3 minutes (or according to packet instructions), then drain and rinse under cold water to stop the noodles from sticking together. Heat 1/2 tbsp oil in a fry pan over medium heat (or heat the BBQ). Remove chicken from marinade, shaking off large bits of lemongrass (small bits should fall off during cooking). Place chicken in the pan and cook each side until dark golden brown and chicken is just cooked through - about 6 to 8 minutes in total. Remove from pan, shaking off any remaining bits of visible lemongrass and set aside to rest for 5 minutes. Then slice into thin pieces. 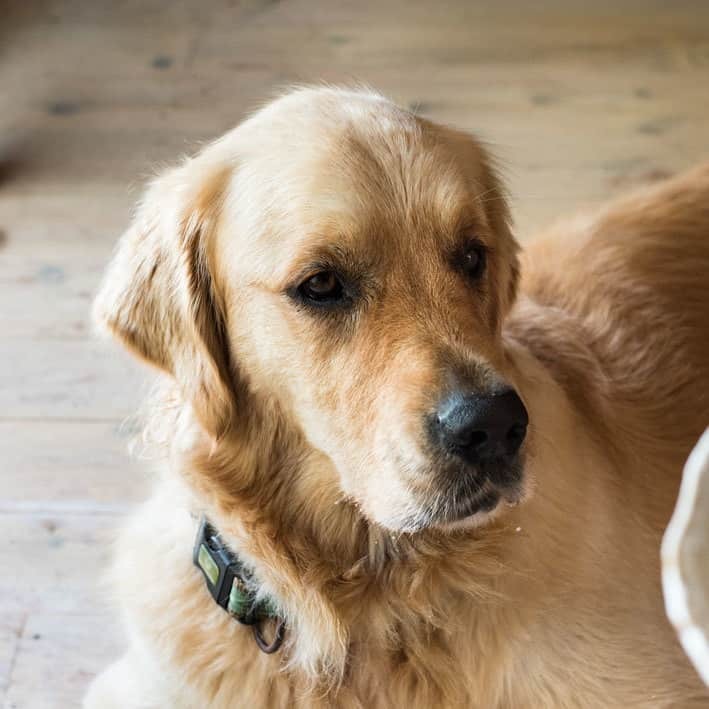 To serve individually: Place noodles in bowl. Then either top or lightly toss through the vegetables and herbs, and top with chicken pieces. Drizzle with a few tablespoons of Nuoc Cham Sauce (be generous, ~ 4 tbsp per serving) and serve with lime wedges. 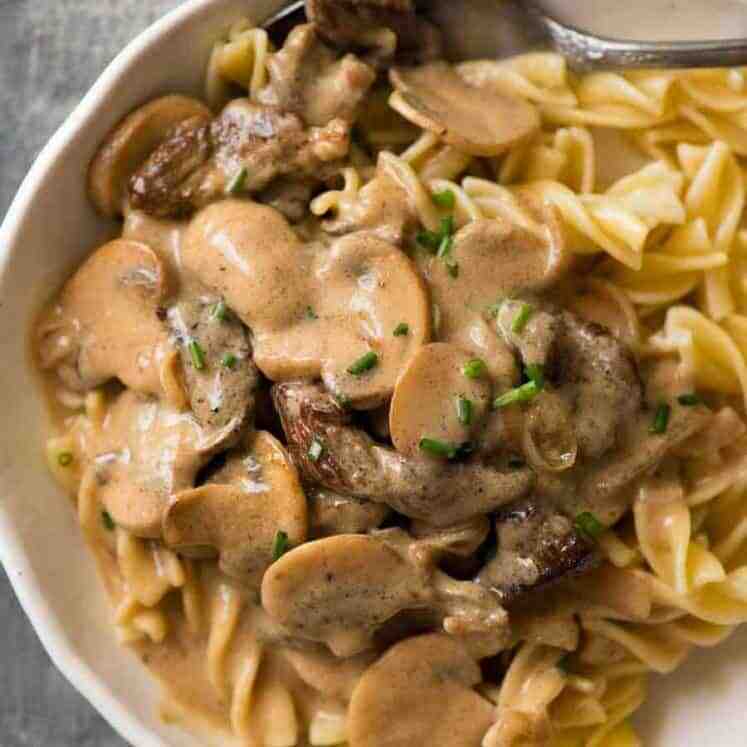 To serve to share (my preferred way): Place meat and vegetables on a large platter with the sauce, and the noodles in a bowl, and let your guests help themselves. 1. To prepare the lemongrass, peel the tough outer layers off to reveal the softer white part on the bottom ~1/3 of the lemongrass. Bruise using the back of the knife (see video). Don't slice too finely or finely chop, you want the pieces large enough so you can just brush them off (lemongrass is kind of tough, it has to be very finely chopped / cooked for a long time to eat). You could sub with 1 tbsp lemongrass paste. 2. Make this kid friendly by just serving the chilli on the side. To make it GLUTEN FREE, ensure you use GF tamari. 3. Fish sauce is a key ingredient in a lot of Asian cooking. Don't worry, it doesn't taste fishy when combined with other ingredients! It's an incredible flavour enhancer that has more depth than salt or soy sauce and is very cheap to buy at supermarkets or Asian grocery stores (even better value!). 4. Freezing: Pop the chicken in the fridge as soon as it's in the marinade. Then let it defrost in the fridge - it will marinate during this time. 5. This can be substituted with any spicy chilli. Adjust to your taste. 6. DIY Noodle Bowl Spread: Pile all the components on a large platter or separate bowls and let guests serve themselves. That's how I typically serve this. 7. 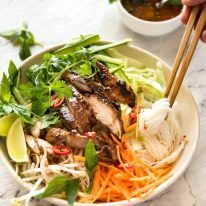 Vietnamese Noodles with Lemongrass Chicken nutrition per serving. 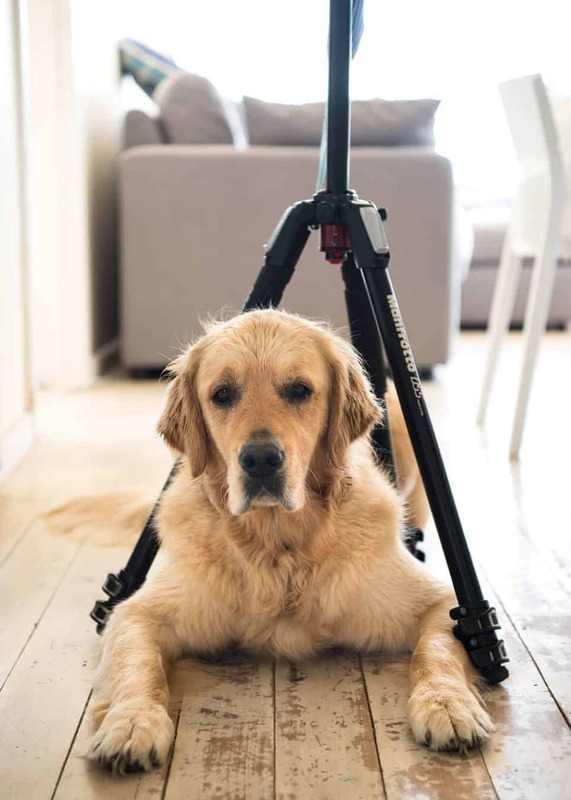 Yes, that’s the same tripod that holds my camera worth several thousand dollars. ? 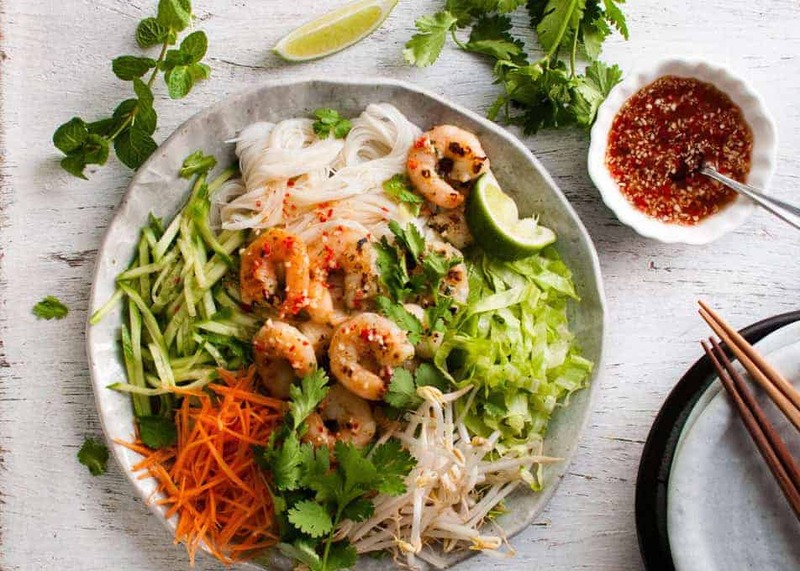 If you enjoyed this, then my Vietnamese Shrimp / Prawn Noodle Salad is a must try! This recipe sounds delicious! 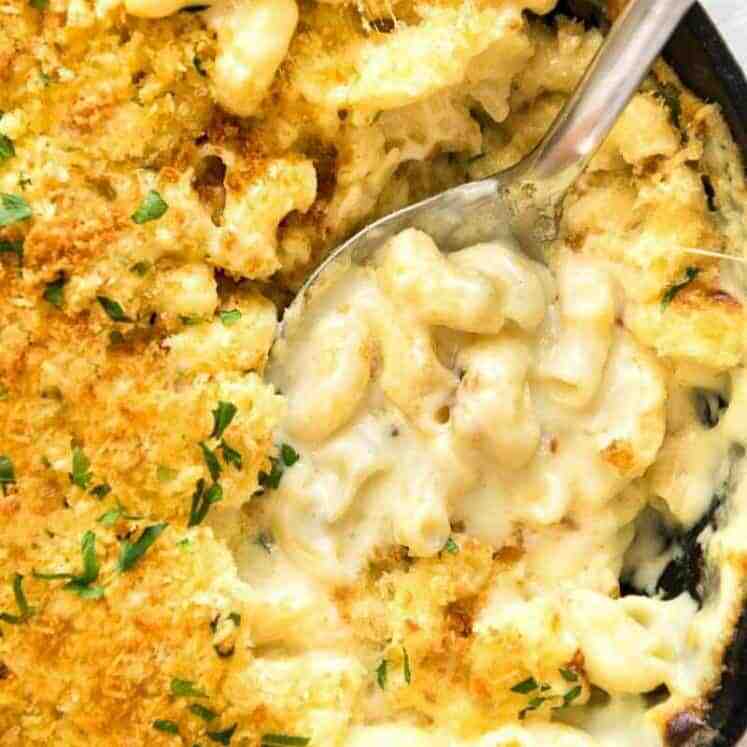 Can’t wait to make it—however, I have family members that for health reasons, need a low sodium diet. Any suggestions as to how to make this dish less salty? I couldn’t think of any ways, except to just use a smaller portion of the fish sauce. Thank you! 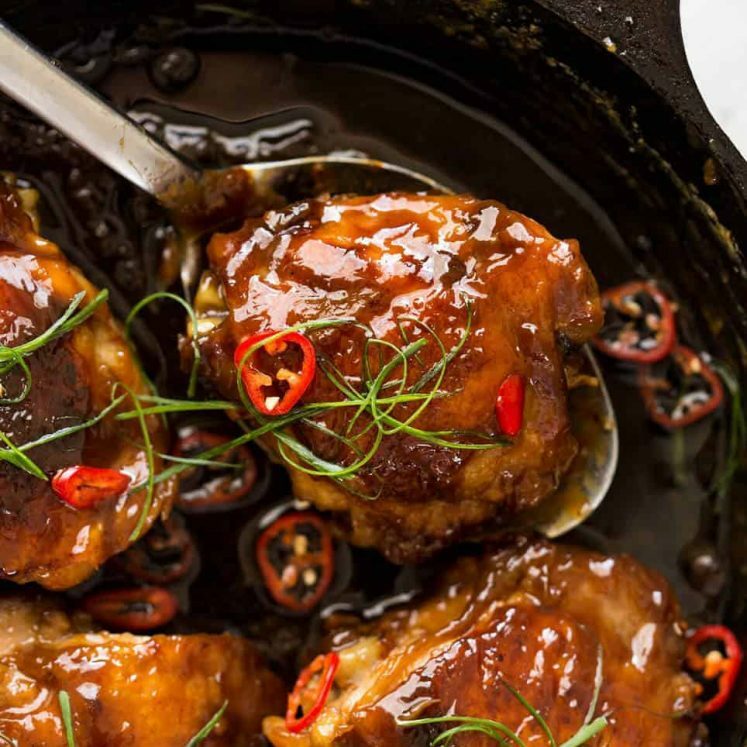 Hi Tina, yes Ga for chicken – this one is Bun Ga Nuong! I’m so glad you love this one! 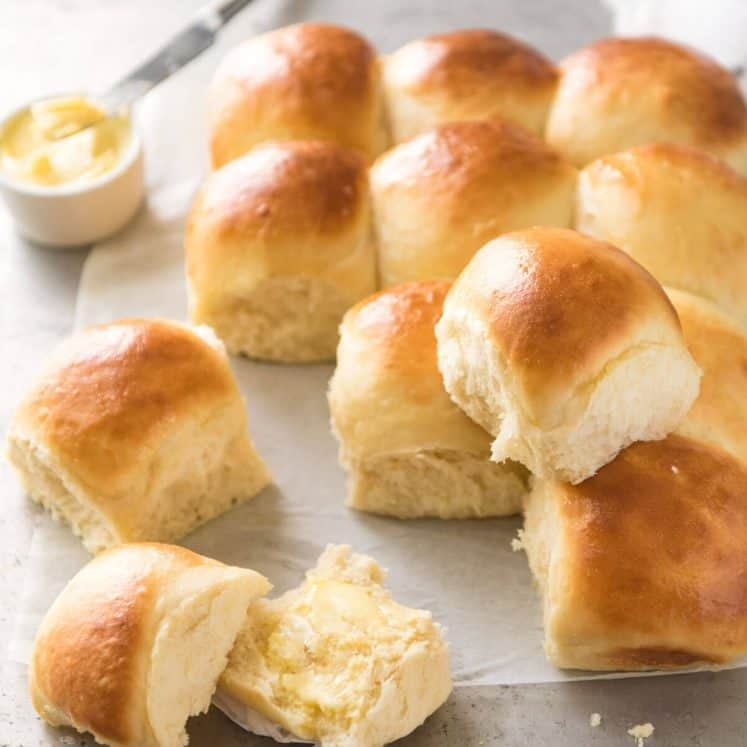 What an awesome recipe. I was delicious. You even went to the trouble to explain these ingredients. Thank you. I’m so happy you loved it Sandy!! One try of the lemongrass chicken recipe makes one fall in love with the simplicity of Vietnamese cooking. 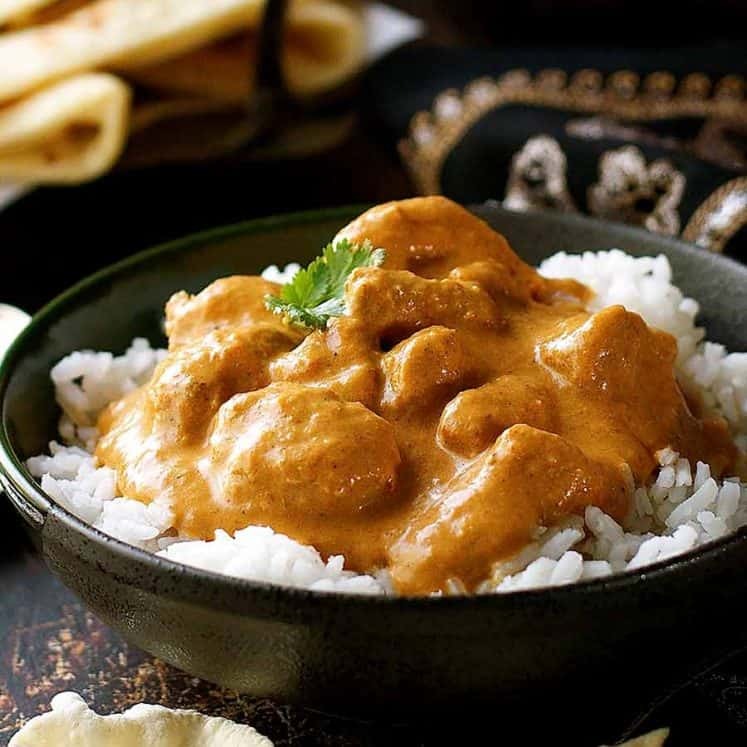 Really appreciate your sharing of the recipe！The flavours achieved are unbeatable! Just perfect Nagi. We made it this evening and prepared the chicken with your Chinese restaurant velveting technique. 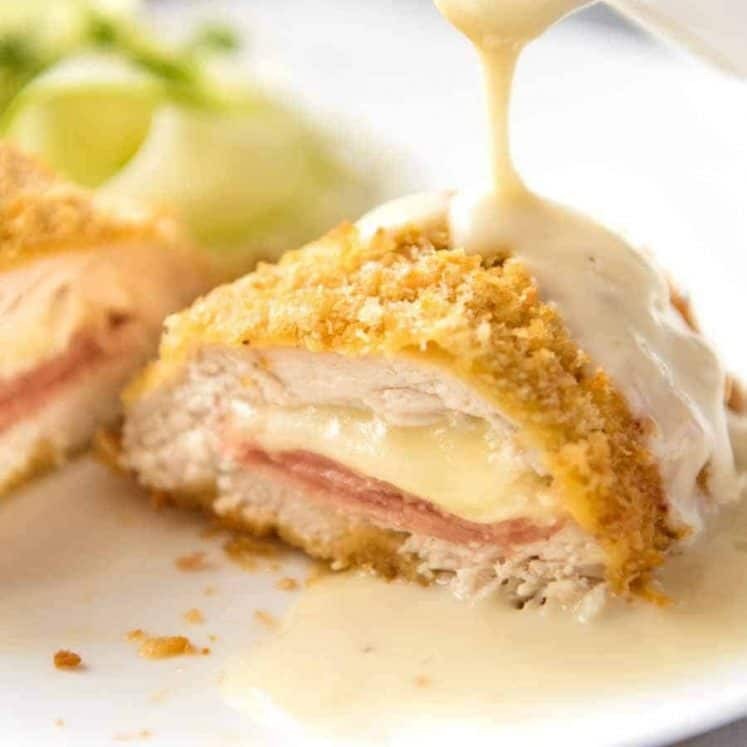 It brought normally tough and dry chicken breasts to a whole new level! 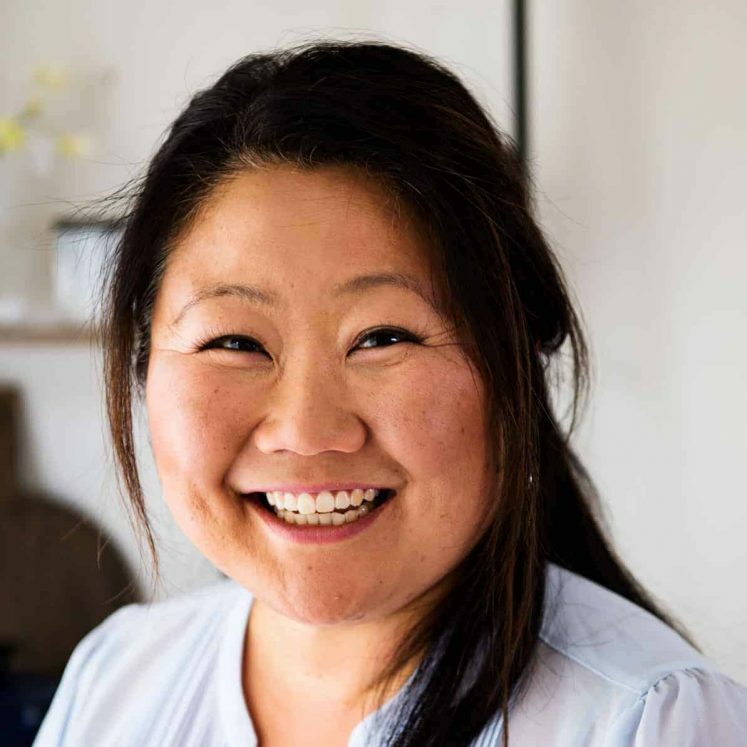 I spent some time in Melbourne and all the flavours really brought back memories of classic Vietnamese dishes that I grew up with. 5 stars!